Welcome to Guangchao Geng's homepage! Guangchao Geng is a Research Assistant Professor (Master Advisor) at College of Electrical Engineering, Zhejiang University, Hangzhou, China. He obtained his B.S. with Chu Kochen Honor and Ph.D. in electrical engineering from Zhejiang University in 2009 and 2014, respectively. His doctoral advisor is Dr. Quanyuan Jiang. From 2012 to 2013, he was a visiting Ph.D. student in the Department of Electrical and Computer Engineering at Iowa State University, United States, sponsored by the joint Ph.D. program from China Scholarship Council, collaborating with Dr. V.Ajjarapu. 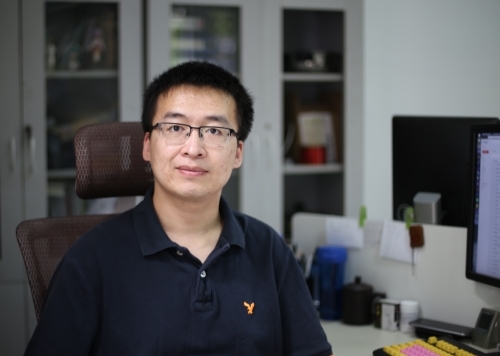 From 2014 to 2017, he worked as a postdocoral fellow at the College of Control Science and Engineering, Zhejiang University, supervised by Prof. Youxian Sun. From 2015 to 2017, he was with PDS-LAB as a postdoctoral fellow at the Department of Electrical and Computer Engineering, University of Alberta, Canada, supervised by Dr. Wilsun Xu. In 2017, he joined the faculty of the College of Electrical Engineering, Zhejiang University, Hangzhou, China. Since 2018, he serves as the director of ZJU-Huajian Joint Research Center of Electric Power IoT Technology. His research interests include power system stability and control, power system operation, power system measurement, high performance numerical analysis and optimization. Contact Information: Room 306, Electrical Engineering Building, Yuquan Campus, Zhejiang University, 38 Zheda Road, Xihu District, Hangzhou 310027, Zhejiang, China.